OPINION. By Denis Bilodeau. I read with interest your online article March 12 about the town’s budget retreat (“Property tax increase floated at annual budget retreat.”) As a Town Commissioner who attended the meeting, I’d like to emphasize that it is very early in the budget process. Nevertheless, misinformation abounds. Let me explain. 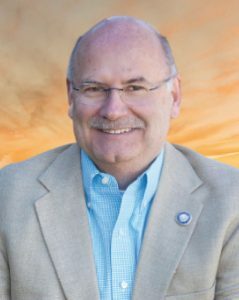 As a result of one Commissioner’s recent blog and a second Commissioner’s alarmingly inaccurate newsletter, I feel compelled to give another perspective on early budget activity for the Town of Cornelius. At the March 4th Board meeting, compensation changes were enacted to address significant turn over and well documented pay inequities for Town staff…most of which will be applied to our sworn police officers. Making off-cycle salary adjustments while rare have been done in the past—no precedent set. Recruiting and training new officers costs taxpayers tens of thousands of dollars… since January this year, four more officers have resigned citing compensation as a main concern. The salary changes will cost $279,000 within a $23.5 million budget next fiscal year. A Commissioner’s suggestion that the decision to pay our police officers a reasonable salary is akin to the I-77 toll lane debacle is way out of bounds. It is impossible to predict the final tax rate at this time as there are hundreds of appeals in the works. This is not the time for posturing. An acceptable budget will require difficult decisions. My fellow Commissioners have impressive credentials and expertise. I can assure you I will be working with them to bring our tax rate as close to revenue neutral as reasonably possible. Citizen’s feedback regarding priorities is extremely important leading up to a public hearing on May 20th. The final tax rate and budget will be set in June. Thank you for a very reasonable perspective on the salary issue and overall town budget view. wow this is very interesting to read, thank you for sharing this post. reasonable perspective on the salary issue and overall town budget view.